HA NOI — Researcher Sandra Scagliotti, director of the Centre for Research on Viet Nam in Turin, Italy, has recently published a book on Vietnamese food. 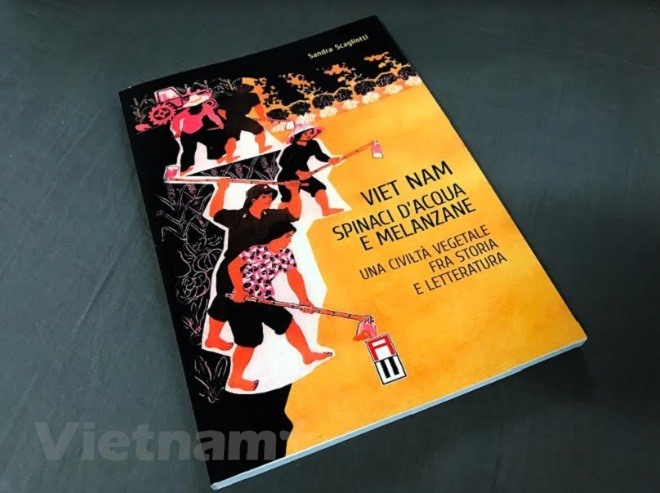 The 155-page book is titled Viet Nam, Spinaci d’Acqua e Melanzane, Una Civilta Vegetale Fra Storia e Letteratura (Viet Nam, Water Spinach and Pickled Egg Plant: A Plantation Civilisation from History to Literature). Different from many previous books on Viet Nam, Scagliotti takes cuisine and the farming tradition in Viet Nam as the main topic for her book. She writes about Vietnamese cuisine in various historic upheavals, and compares it to cuisines of other countries. She considers cuisine a mirror reflecting people’s behavior and minds. Scagliotti admitted that she wanted to send a message: Eating makes people. Vietnamese cuisine expresses spirit, behaviour and the view on life of the Vietnamese people. “They are close, simple, witty, humane and intellectual,” she said. Scagliotti said books helped bridge the gap for Italy and European countries to do research on Viet Nam. 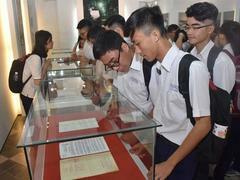 Scagliotti has edited Duong Kach Menh (Revolunary Way) by President Ho Chi Minh, which was published in Italy in September this year. In 2017, as a specialist on Viet Nam, she published a special edition on the East Sea titled Yellow Sand Beaches, Viet Nam and its Archipelagoes on the East Sea.